The Seventeenth Innovative Applications of Artificial Intelligence Conference on Artificial Intelligence (IAAI-05) is collocated with AAAI-05, and is being held July 9–13, 2005, in Pittsburgh, Pennsylvania. The Seventeenth Annual Conference on Innovative Applications of Artificial Intelligence (IAAI-05) was the premier venue for learning about AI's impact through deployed applications and emerging AI technologies and applications. Case studies of deployed applications with measurable benefits arising from the use of AI technology provide detailed evidence of the current impact and value of AI technology. IAAI-05 augmented these case studies with papers and invited talks that addressed emerging areas of AI technology and applications. The Emerging Applications track enabled developers to learn about tools and techniques enabling the creation of the next generation of AI applications. Through this program, AI researchers learned about challenges of real-world domains, the utility of particular AI techniques for specific applications, and the difficulties, successes, and lessons learned in deploying AI applications. IAAI-05 addressed the full spectrum of AI techniques in practice. IAAI-05 specifically sought out novel combinations of AI techniques and innovative applications. In addition IAAI-05 continued to highlight AI challenges in industry and government. It examined the AI related successes and lessons learned from recent startups, established AI companies, and government agencies. 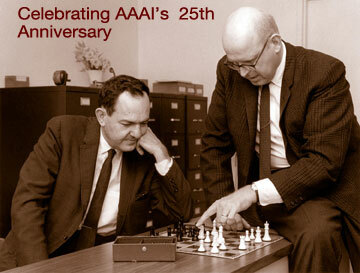 IAAI was organized in conjunction with the AAAI-05 program, with coordinated schedules and single registration to allow attendees to move freely between IAAI and AAAI sessions.